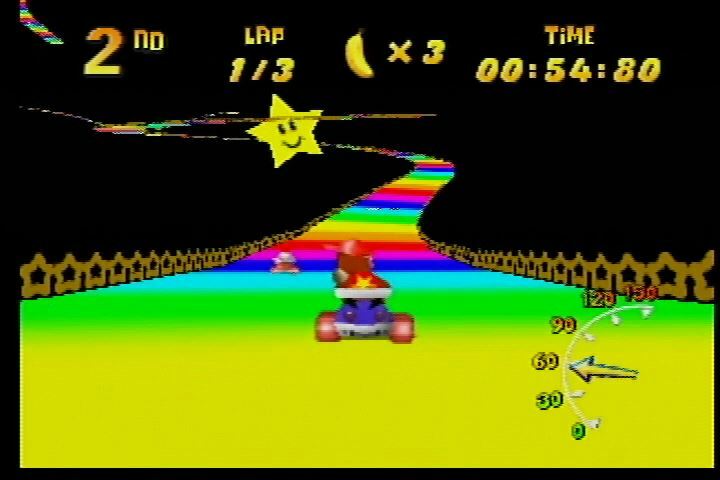 Rainbow Road ported from Mario Kart 64, from Zoinkity's rip. It's a bit glitchy, and does not work on console. Description : I remade SubDrags classic Rainbow Road track with many newly discovered improvements and made it work on console. Base : Based on SubDrags old track and Zoinkitys rip remade and repaired. Important Notes : Repairing this was hell.